I am going to have to put my adventure pants on — this might be too crazy for me — but I would do it for my family. Bear Grylls, the man behind television shows such as “Man vs. Wild”, has launched an adventure program for families and adults. The Bear Grylls Survival Academy offers a rare chance for a lucky few outdoor enthusiasts from around the globe to learn Bear’s extreme survival techniques. And, lucky for us Californians, it’s not far away. The academy is located in Oakhurst, Calif., near the entrance to Yosemite National Park. First launched in Scotland in 2012, the Bear Grylls Team is bringing the adventure to the Sierra Nevada Mountains, and further afield in New York’s Catskills and Colorado’s Rocky Mountains in Spring 2014. The Academy, designed by Bear Grylls himself, will be run by his close team of highly trained experts and professional mountaineers. Dates are scheduled from June through August for 24-hour adult, 24-hour family as well as the more intensive five-day course for adults. There’s even time to get that adventurous gift for mom on Mother’s Day — gift certificates are currently available. This week’s escape is a bit of a staycation. The kids are still in school, and it’s that awkward time between spring break and summer vacation where you want to get away but you don’t want to go to far. 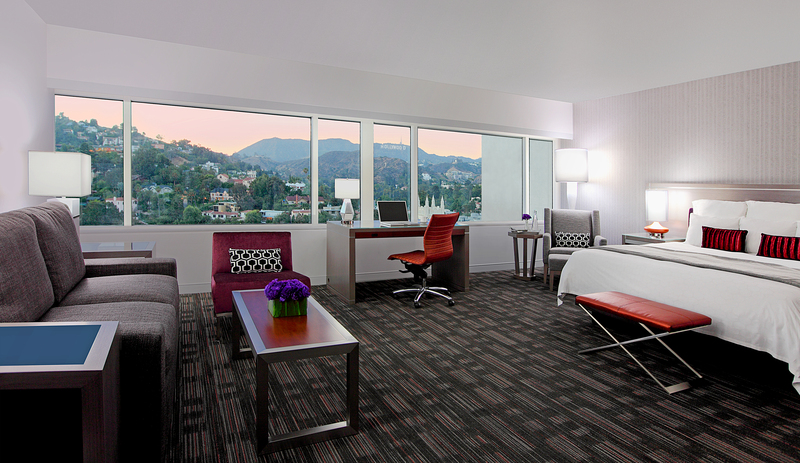 The recently renovated Loews Hollywood Hotel is the perfect place for some glitz, glamour and nearby escapism.